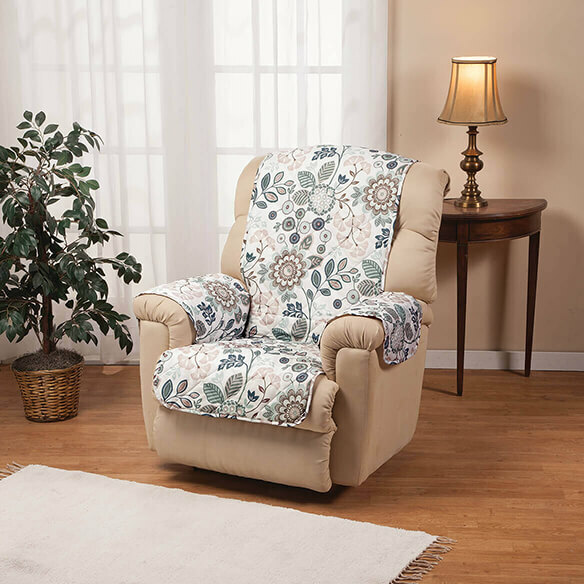 Adding a touch of color and pattern to update your décor, this Palladio print microfiber recliner cover offers stylish protection—shielding your recliner from spills, stains and everyday wear. The soft, comfy furniture cover is designed in quilted, snag-resistant microfiber that repels liquids, slipping on and off easily for machine washing. 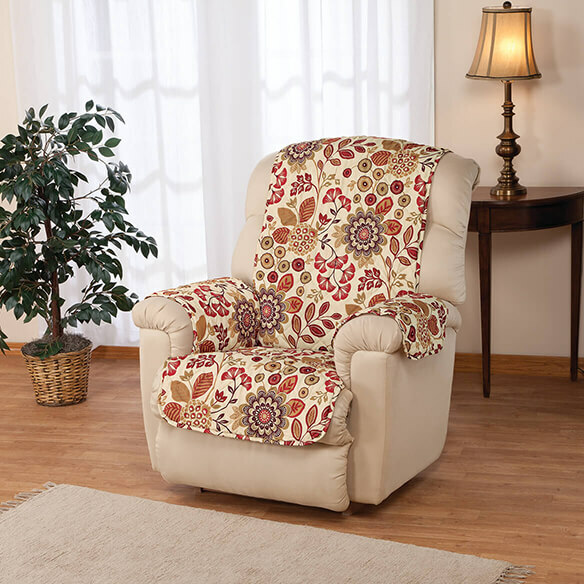 Extra-long back and tuck-in side panels with non-slip backing keep this charming recliner protector securely in place without ties, snaps or fuss. Seat 30 1/2" long x 23" wide; back 48" long x 23" wide. Polyester with Olefin backing; machine wash (no bleach). Imported. Think it would look in our living room,pattern instead of solid color.